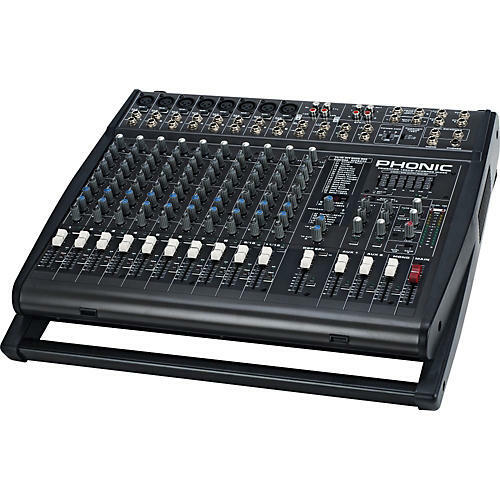 This versatile 7-channel powered mixer packs a lot of technology into a compact, rugged molded cabinet. With a total of 800W on tap, the Powerpod 1860 Plus has enough power under the hood to crank out some serious sound. Thanks to a stereo 7-band graphic EQ with selectable I/O switches and 32/40-bit digital multi-effect processor, you’ll be able to dial in the perfect sound in a snap. With a 3-band EQ on all ten channels, you’ll be in complete control of your mix. Super Hi-Z inputs are optimized for direct instrument input, while eight balanced mic/line inputs give you maximum flexibility.